1966 Grande Parisienne two door hardtop with V8 engine, automatic transmission, power steering, power brakes, power windows, air conditioning, bucket seats console, Rally wheels, tinted glass, dual exhaust. 4 BBl carb, and AM-FM radio. 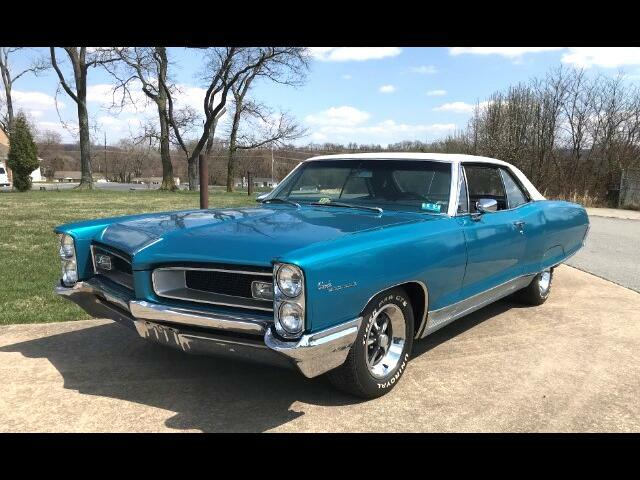 In the 1960''s General Motors built slightly different cars for their Canadian market; This car is a 1966 Pontiac Grand Prix body with some slight differences. It has a different name for the Canadian market also. It is a Grand Parisienne. The main difference is they had Pontiac bodies with Chevrolet drivetrains. This particular car has a Chevrolet 396-350 horse engine, instead of the Pontiac 389 engine. Interior is slightly different also, but still has bucket seats and a console. Body is similar and on this one very nice paint, excellent undercarriage is rock solid. This is truly a rare car with a Pontiac Grand Prix body and a complete Chevrolet drivetrain from the factory. Message: Thought you might be interested in this 1966 Pontiac Grand Prix.